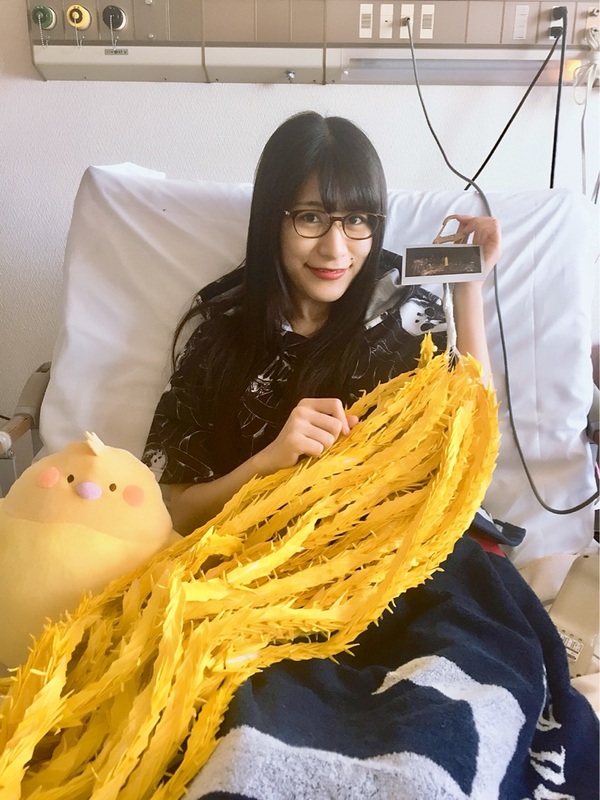 On April 11, Kamen Joshi member Tomoka Igari was hospitalized following an accident where a sudden gust of wind blew over a signboard which collapsed on top of her, causing injuries to her head, legs, and spine. 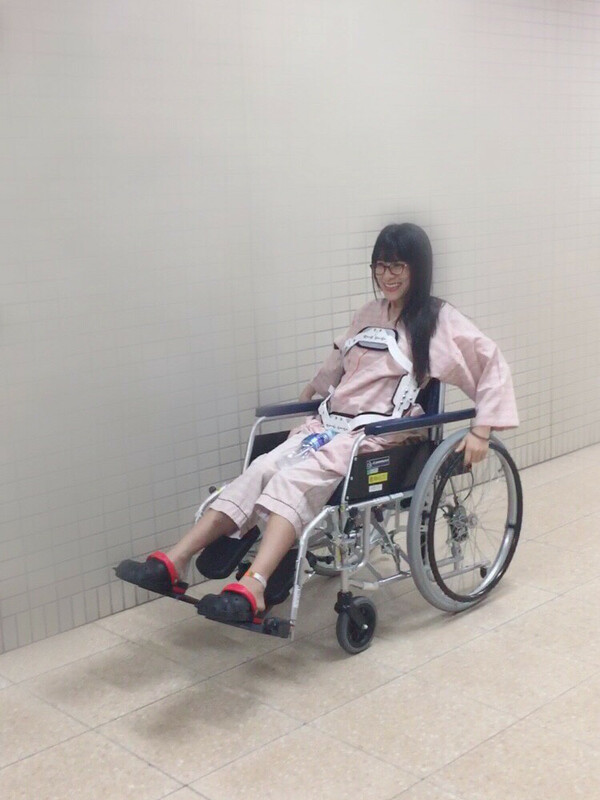 Tomoka gave an extensive first-hand explanation of her situation on her personal blog, detailing her positive outlook on life and her goal to become Kamen Joshi’s first wheelchair performer. It’s been a while. Hi. 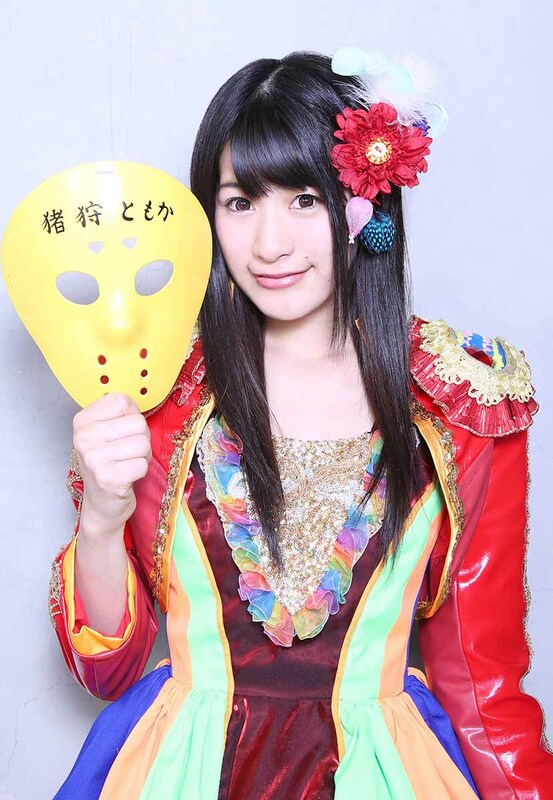 It’s Tomoka Igari of Kamen Joshi. I’m terribly sorry I caused so much worry after my accident. On April 11th, I was crushed by a sign blown by a strong wind. It was a very windy day. It seems it was reported on the news that every part of Japan was windy that day. I was taking a walk as usual. Then I felt a strong wind and saw the huge sign collapsing toward me. The signboard was so big that I could not get away quickly. It smashed on top of me. I did my best to scream “Help…!” as much as I could. Everything was dark, and I was in pain and trying to get away from it. I guess it wasn’t long after that someone lifted up the sign and I was in an ambulance. I heard later that the signboard was carried away by the wind and it jumped over the barrier and fell, covering the whole sidewalk. After an emergency surgery, I was kept in the ICU and then they moved me to the HCU later. My injuries included eyelid laceration, head trauma, fractures of my legs, ribs, thoracic vertebra, and hip bone… and serious damage to my spine which has caused paralysis in my legs. I’m still in the process of accepting things myself, and I did not want to shock people and make them really sad by revealing that my both my legs are paralyzed. This situation is taking time to accept and I didn’t know what to say to my fans. I couldn’t write or express my feelings, so I’m sorry for the late report and for keeping you waiting. I wasn’t imagining a future without those moments, without standing on my feet. I am disabled. I cannot walk or even feel my legs now. The chance of recovery is very low. I will be in a wheelchair the rest of my life. Beside my legs, my other parts are recovering and I’m working very hard on rehab so I can be more independent being on a wheelchair every day. I will be out of the hospital after three months, they say. I really wanted to tell everyone who is worring about me that “I am alive!” but I couldn’t. It took time for me to understand my condition and accept it. I had a sit-down talk with my psychiatrist, too. A patient like me who is forced to make a dramatic change in life like having treatment for a damaged spine always meets with a physical doctor and a psychiatrist. I guess my family, my agent, and my doctors are taking the best care of me they can. When they moved me to the HCU, I realized that my situation or recovery process was different from what I was thinking. That day, my mother and my older brother came to see me. I had this doubt inside me and was afraid of knowing the truth, but I made up my mind to ask the question. Me: Mom, is there a high chance that my legs won’t ever move again? Me: Were you hiding this from me the whole time? Brother: No, the priority was for you to live. Mom: But the doctor said if you keep doing the rehab, a miracle could happen. Let’s believe in the miracle and keep working on that. 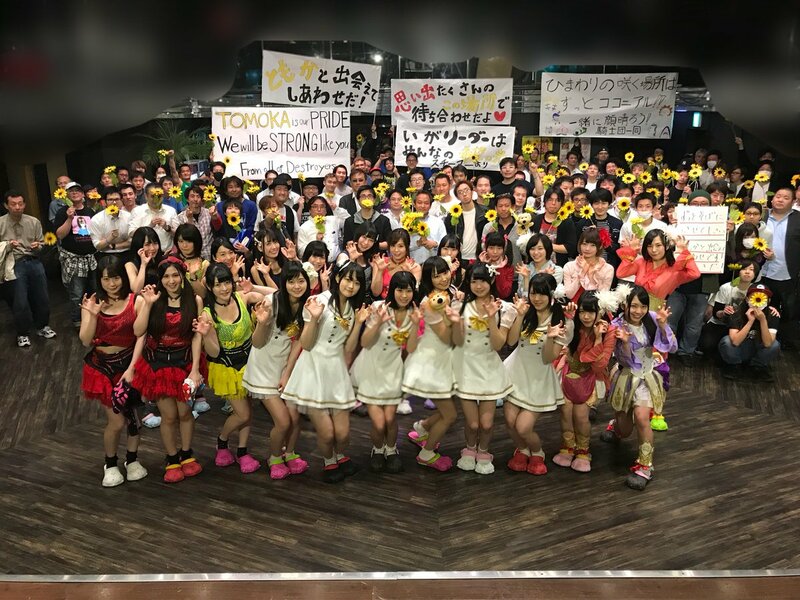 I know I was never good at dancing or singing, but I really loved being on the stage, seeing my fans smiling, and then that made me smile and then they smiled back more… because of you, my fans, I was able to become an “idol” and be “Tomoka Igari”. I really love and miss that time. That is why I felt so motivated to get back to the stage. But… then I learned the truth. 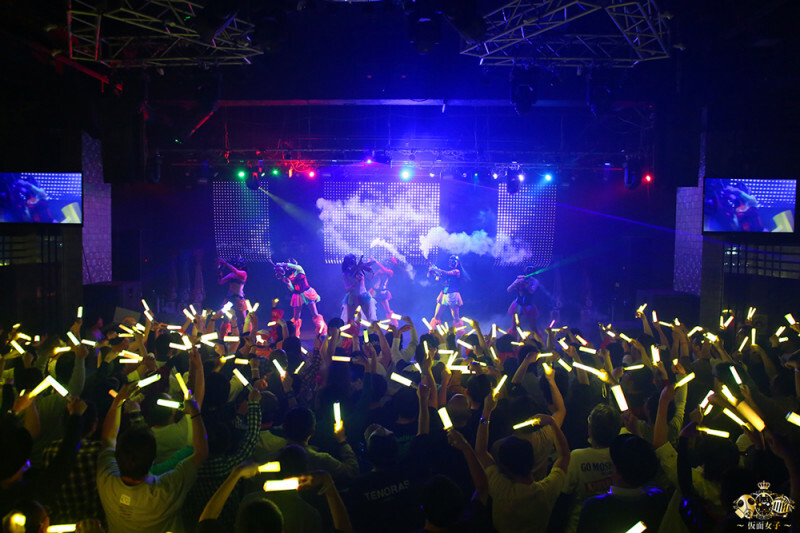 No singing, no dancing = graduation from Kamen Joshi… I couldn’t imaging a Tomoka Igari who couldn’t dance anymore. Then why do I exist? What can I do now? It was like looking down to a very, very dark hole. Before the accident, walking and dancing was like breathing. I never, ever thought this would be taken away or my legs would be numb and feel like someone else’s were attached. And I never thought I could quit Kamen Joshi. I kept thinking and my heart guided me in a very natural way to decide that I would like to become the “Kamen Joshi member in the wheelchair” and become the new Tomoka Igari. The only reason I could feel hope is because of the people who are supporting me. “Even in a wheelchair, you could give someone hope and make people happy.” “Tomo-chan brings people joy and makes them happy, so even when things change, I want you to continue to be you,” my family told me. “I’ll take you places! Let’s keep having fun until the day we become grannies,” my friends told me. “The brightness you can spread will be a light to others who are suffering and going through rehab too,” my teacher said. “The entire staff is waiting to work with you. We will make your wish come true. Tell us what you want to do!” my management said. “No matter how it takes, we will wait for you. We will keep the stage warm until you come back,” my fellow members told me. My dear fans… I know you came to the theater making banners, sang my song holding up your yellow light sticks, and prayed for me. You made 1209 folded paper cranes wishing for my recovery. I counted them one by one. I read your #GanbareTomoka tweets every day. Every. Day. I guess there were more without the hashtags… I received letters too. Your warmth and words saved me when I felt lost during the lonely nights on my bed. I have all of your prayers with me. Arigatou from the bottom of my heart. “I want to be someone’s light in the tunnel.” This feeling never changed. I feel the same way. I am thinking of what I can do and what I want. I want to be a songwriter for Kamen Joshi. I want to be the MC for radio and events and write a book about what has happened to me. Every day I think of more and more things to do going forward. The wind is blowing me in a direction I never expected, but I will stay connected to the world where I was living before. And lastly, I don’t know what it could be, maybe from God or a miracle… I would like to believe that someday I will be able to sing and dance as an idol again. I am fortunate that so many people are waiting for me, and that is my new backbone. It may take time. I may not recover fully, but someday I will say “Long time no see” with a smile. My mind is not looking at the past but toward the future. Please do not worry about me anymore. Please walk my life path with me until I come back. That is my biggest wish.